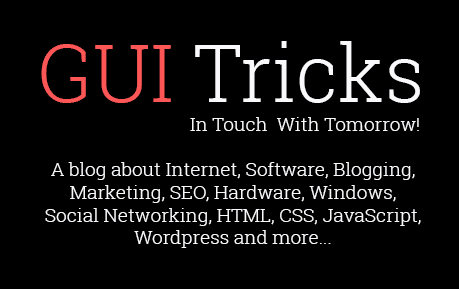 Should Have Apps For Mac OS X Users | GUI Tricks - In Touch With Tomorrow! Should Have Apps For Mac OS X Users - GUI Tricks - In Touch With Tomorrow! Finding the best applications is sometimes quite difficult. So the people who are Mac OS X users and looking for the best apps for their Mac so don’t panic. Here I’m sharing my gathered list of applications that every Mac OS X user should have. Airmail app is a very simplified for those who are connected with the world of internet. The app is newly designed as Yosemite. It’s design and style very similar to the Yosemite theme. Basically, this app is helpful for quick mailing, messages, data uploading to Google Drive, Dropbox, CloudApp etc. If we talk about its visuality so theme is multiple and simple from every terms. Mac Mail is an officially provided app, as we know. People prefer to use this app, but not all. This app has several shortcomings and deficiencies which make this lower class app as compared as other apps. But still people use it and they believe that this is the best and trusted among all. Inkscape is an open source drawing app with different and unexpected features. Some supported SVG features are included in latest version like basic shapes, markers, transforms, grouping, text, paths etc. Further, Inkscape also supports creative common meta-data, node editing, layers, complex path operations, text-on-path and SVG XML editing. It also imports several formats like EPS, postscript, JPEG, PNG, BMP and TIFF and exports PNG as well as multiple vector-based formats. Adobe Photoshop, who isn’t familiar from this app. One of the most popular and preferred application in the world. The latest one is Adobe Photoshop CC 2015. Abbreviation of CC is Creative Cloud. I use it also and so I would like to prefer this one to other users also. But, it’s not free. You must have to pay for it, almost $20 per month. This is another most innovative, fastest, full-featured and powerful image editing app for the Mac that has everything you need to create and edit your images. It’s very powerful and fast for Mac users. You can enhance and touch up photos, sketch, draw and paint, add texts and shapes, apply dazzling effects and do so much more. So get latest one version from official site, but you have to pay $29.99 for this. iA Writer is a consummate application for writers and bloggers. This app helps to make your writing style more attractive and also guides while typing. It’s design and style very simple. It’s not a heavy app, so that’s why it doesn’t reserve huge part of your CPU usage. So for a very comfortable and helpful app that you’re looking for writing then check out iA Writer and must use. Hope, you won’t need another app after using it. As I said for iA Writer, if you’ll use it then you won’t need to use another writing app. But a user don’t wanna try it then FocusWriter is second recommended app for them. FocusWriter is a very simple and plain light app that provides an excellent writing environment for writer which causes to feel comfortable while writing for every writer. This app is available for all operating systems including Linux. CCleaner is a tool for system optimization and security. It offers to do free space from your hard drive and also helps to remove your internet cache, browsing history, saved password (if you want to remove) etc. As we know, when we install any application or software then after the removing of it some files still present in the system that we can’t remove by using control panel. So to remove these types of files, CCleaner is an open source tool for every operating system especially for Mac and Windows users. It’s available in both free and paid. In my views, everybody should have this one great tool. So must try it and also recommend to others. KeePassX is not very similar to CCleaner, but its work is great. This application helps to remember such passwords which are necessary for us like logon passwords, social accounts passwords, online passwords etc. So whenever if we forget passwords then in this difficult situation, KeePassX will help you and provide you password that you’ve forgotten. Hotspot shield VPN is a secure and capable web security for your mac machines. It pursuits your information sent and got over the internet and secures your individual information, including Mastercard data, passwords, downloads and texts. VLC is the most using multimedia in the world. This tools offers to play videos of lots of formats like MPEG-1, MPEG-2, MPEG-4, Divx, Mp3, OGG etc, additionally DVDs, VCDs and different streaming conventions. The latest updates make it much easy and fully featured. You can also run Youtube videos in VLC. HandBreak is another should have tool. It’s basically a video converting tool. Users can finely convert their videos to any formats in few moments. Additionally, it’s free and an open source application and compatible for just Windows and Mac OS. Hope, you’re aware about virtualization. If you’re not then visit this Wikipedia link and read about it in deep. Well! Virtual box is a very simple and finely optimized application for virtualization. Every Mac user can use it and run other operating system like Windows OS etc with Mac OS X as well. It’s free and open source virtualization application. So try this and give your views about it. While using, if you face any type of problem then must share via comment below. Parallel Desktop offers to run 2 operating systems together except your default installed Mac OS X. So it’s simplest, quickest and very effective for running Windows on Mac without rebooting. VMware is an alternative application of Virtual Box. Suppose if you face any problem with Virtual Box then VMware is second choice. Both have almost same features. So don’t panic while choosing that which app you should use. You can select anyone else blindly. One of the most used Browser in the World is Google Chrome. As of January 2015, StatCounter estimated that Google Chrome has a 51% worldwide usage share of web browsers, indicating that it is the most widely used web browser in the world. People choose Google Chrome for their computers as a default browser because of it's fully trusted features that are free from any malware and spam. It's also a most safer browser due to it's best security and privacy extensions. If you're a Chrome user and want to find it's best extension then you can visit this article of Best Privacy & Security Extensions For Chrome. Mozilla Firefox is on second in the world after Google Chrome. This browser is an alternative to Chrome, that we can say. It doesn’t reserve in large amount of memory as compare with Chrome. Mostly low-end users prefer to use it. It has many features which make Firefox best alternative to Chrome. Opera is an another light, simple and fast browser. It hasn’t so many add-ons like Chrome or Firefox. But it’s fully supported and reliable. Opera never reserves huge system memory that’s why it’s perfect for low-end computers.